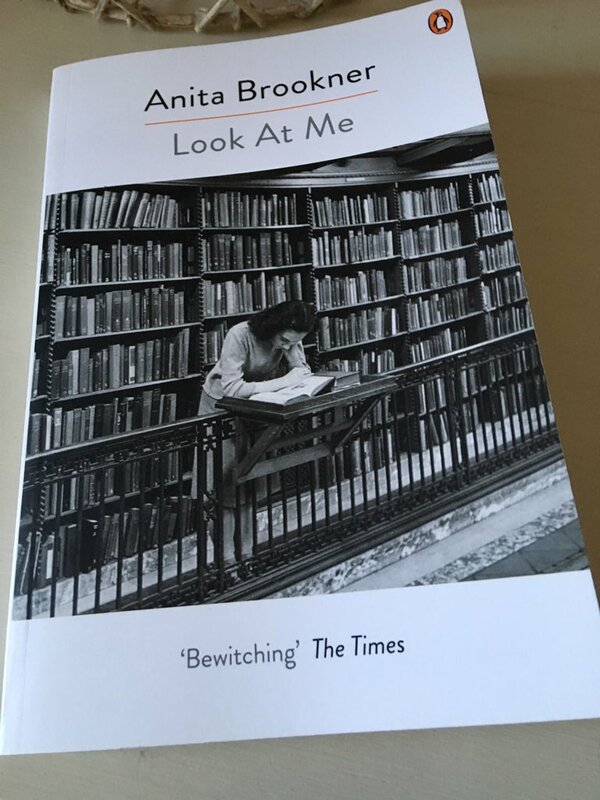 Perceptive, engrossing and enigmatic, Look at Me – Anita Brookner’s third novel – is something of a minor masterpiece, probing as it does the inner life of a lonely young woman who experiences a brief period of renaissance, only to be scarred by the torrid experience. The woman in question is Frances Hinton, a spinster who works in the reference library of a medical research institute, organising and cataloguing images of various mental conditions and abnormalities of human behaviour. Highly analytical and orderly by nature, Frances is a keen observer of her colleagues and visitors to the institute, studying and recording her observations as potential material for short stories, or possibly even a novel. In her spare time, of which there is ample, Frances aspires to be a writer, viewing her writing as a means of expression, of reminding other people that she exists. In short, it is her one way of saying: ‘Look at me. Look at me’. After work, Frances returns to the large, outmoded flat in Maida Vale she has inherited from her recently-deceased mother. There she is looked after by the family’s elderly maid, a steadfast yet loyal Irish woman by the name of Nancy, who ministers to Frances as if she were still a child, serving her the same bland meal each evening out of habit and routine. There are times, especially at night, when Frances wonders if this is to be her lot, with Nancy shuffling along the corridor in her worn slippers, carrying the same old-fashioned tray with the same meagre dinner ad infinitum; for while she is used to her own company, Frances longs for a little enjoyment and excitement in her life. Then, just when she is least expecting it, Frances finds herself being drawn into the seductive world of Dr Nick Fraser, a charming yet shallow researcher at the institute, and Alix, his alluring, self-confident wife. In many ways, Nick and Alix appear to be the golden couple – glamorous, bohemian and flamboyant. Almost like the product of some form of natural selection, they attract various devotees and followers, drawing in admirers wherever they go. Naturally, Frances is intrigued by the Frasers’ sophisticated lifestyle, their spontaneity and ease with one another, and she clings to their company in the hope that some of the glamour and vitality will rub off. Nevertheless, while Frances is fascinated by Nick and Alix, she also recognises that there is something a little repellent about them – more specifically, their need to show off or exhibit their relationship, as if she is there to serve as an audience for their performance, not as a friend or companion. Alix, in particular, is rather careless and unfeeling, treating Frances as a kind of toy or plaything for her personal amusement, tossing her aside whenever she is bored. And yet, Frances puts up with Alix’s supposedly good-natured taunts, submitting to being referred to as ‘Little Orphan Fanny’ even though she claims to dislike the use of this pet name. As her association with the Frasers continues, Frances also becomes involved with James Anstey, another researcher at the institute, who on the surface seems reliable and considerate. As a consequence, they begin to see one another, albeit in a fairly chaste and innocent fashion. Nevertheless, it’s not long before Frances starts to imagine a different kind of future for herself, far away from that of her predecessor at work, the bitter Miss Morpeth, who now faces a relatively bleak retirement; or that of Mrs Halloran, a regular visitor to the library who ekes out her days with the help of substantial quantities of drink. Naturally, as this an Anita Brookner novel, the aura of happiness that surrounds Frances is somewhat short-lived. All too soon, Alix is berating Frances, accusing her of stringing Nick along and selfishly taking advantage of him – this seems a bit rich coming from Alix, who has to be one of the most heartless, self-absorbed characters you are ever likely to encounter. It all ends rather badly, of course, with a shattering dinner at the restaurant frequented by Alix and Nick. Before the night is out, Frances is subjected to another haunting experience as she combs the streets of London in a state of shock, fear and disorientation. Look at Me is a very accomplished novel. What impresses me most about it is how cleverly Brookner controls the narrative. There is something incredibly compelling about Frances’ voice, the carefully-constructed reflections and insights into her complex personality. Few writers can capture the acute pain of social isolation and dashed dreams quite like Anita Brookner, and this has to be one of her best, most nuanced explorations of these themes. While Frances isn’t a classic unreliable narrator as such, there is something slippery and elusive about her story. She frequently contradicts herself or claims to desire things that are pulling in opposite directions. For example, Frances is fatally drawn to the Frasers and their alluring lifestyle; and yet in her heart of hearts, she knows there is something repulsive about them, something unsavoury and possibly dangerous. Moreover, she declares a lack of love for James, and yet she also persists in dreaming of some kind of life with him. There are instances when Frances seems at once both childlike and old before her time – and for someone so analytical in nature she lacks self-awareness, failing to recognise how others perceive her. There are also some oblique references to a previous relationship in her life, a painful, damaging affair, almost certainly with a married man. As the novel draws to a close, there is a sense that Frances realises she was out of her depth with the Frasers, destined for a brief flirtation with their gilded lives without every truly taking part. Her only consolation is that she now has ample material for her novel, the various characters and scenarios seem fully formed. 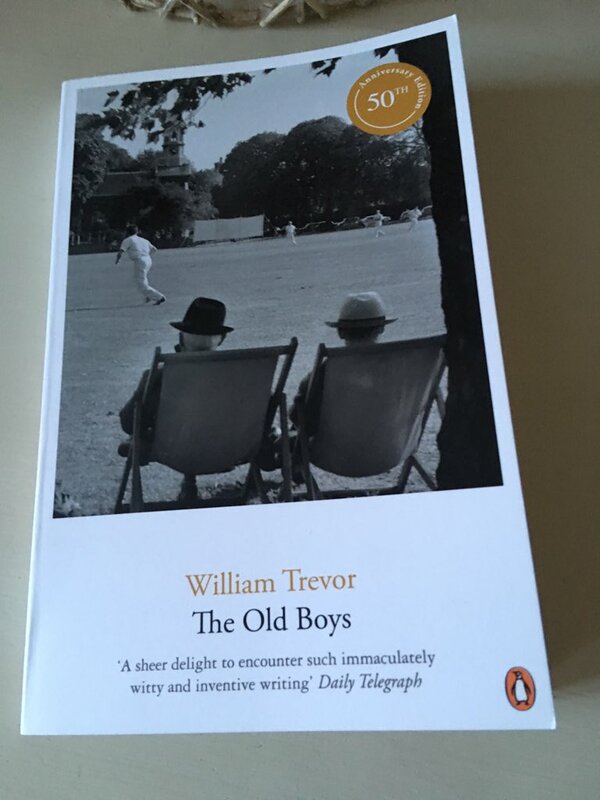 I have quoted very extensively from this novel, partly because of the flawless nature of Brookner’s prose – not a word wasted or out of place. I’ll finish with one last passage from the final section, Frances forever the outsider, always looking in. Look at Me is published by Penguin Books; my thanks to the publisher for providing a copy. 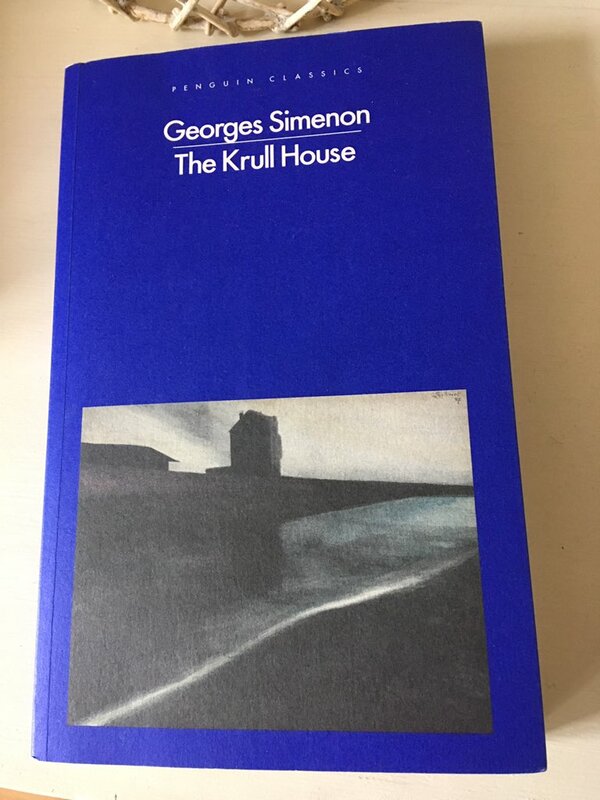 This entry was posted in Book Reviews, Brookner Anita and tagged #ReadWomen, Anita Brookner, Book Review, Fiction, Penguin Books, UK on January 22, 2019 by JacquiWine. 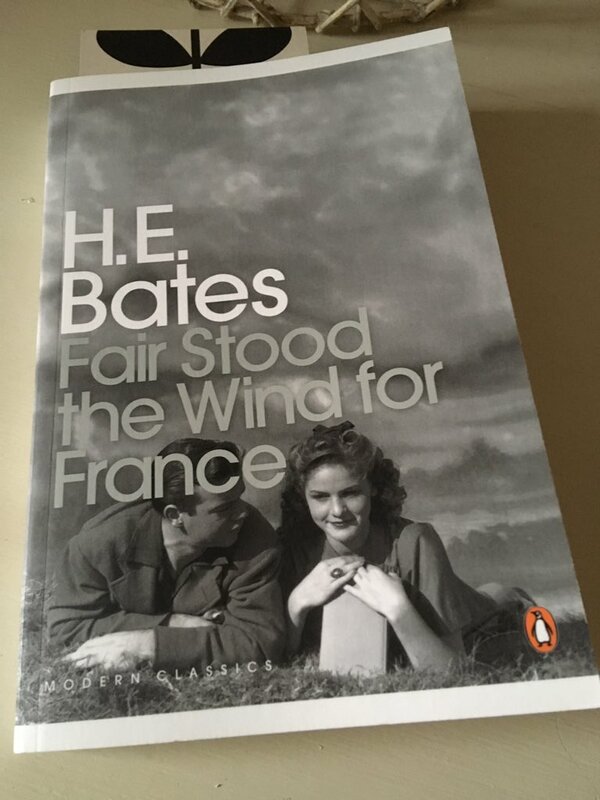 First published in 1944, Fair Stood the Wind for France was written in the midst of WW2, a time when its author – the British writer H. E. Bates – could not have known precisely how or when the conflict would end. A fascinating point considering the subject matter at hand. Described by some as one of the finest novels about the war, Fair Stood is in fact much broader than this description suggests. Amongst its many themes, the book touches on the need to trust others in times of uncertainty, the blossoming of young love in the most dangerous of situations, and the pain of loss as it continues to reverberate over time. As the novel opens, John Franklin, an English pilot, is forced to crash-land his Wellington bomber in Occupied France following a fault with the plane. While the four sergeants in the crew are largely unhurt, Franklin (or Frankie as he is known to his friends) sustains a terrible injury, leaving his arm badly wounded and in need of attention. Fearful for their safety in enemy-occupied territory, the men know they must get away from the wreckage before it is discovered. After travelling by night, they come across a couple of isolated farmhouses. At the first farm, the occupant is too frightened by the sight of an airman to be able to help, but at the second the crew strike lucky – the owner and his family will hide the men in their mill, providing food and shelter until they can leave safely. Franklin knows he is taking an enormous risk by staying with the householders – the penalty for harbouring British serviceman is death by firing squad – but his condition means there is little choice. He must place his trust in the allies, a requirement made easier by the reassurance of Françoise, the calmly resolute daughter of the family. In time, identity papers are arranged for the crew members who subsequently depart in pairs in the hope of making it across the border to Spain. Franklin, however, is forced to remain behind, significantly impaired by his infected arm which is deteriorating by the day. A trusted doctor attempts to treat the wound, but the situation is serious, meaning drastic action may be necessary to save the pilot’s life. Eventually, Franklin is nursed back to health by Francoise; her combination of faith and serenity proves to be his saving grace. Somewhat inevitably, Franklin finds himself falling in love with this remarkable girl whose trust in a positive outcome is strong and unwavering. As the Germans begin to close in on the local community, the situation at the mill house becomes more perilous. Franklin knows the time is nearing when he must go, but will he be able to make it to across the border without being caught? And perhaps more importantly, how will he ever be able to say goodbye to Françoise when the prospect of life without her seems utterly meaningless? I loved this novel for its combination of tension, gentleness and strong sense of humanity. Alongside the moments of affection between Franklin and Françoise there are scenes of real jeopardy, particularly as the story reaches its denouement. Bates never shies aware from showing us the true horrors of war, both for servicemen involved in the conflict and for others left behind – particularly those in the occupied territories. (It will probably come as no surprise to hear that the residents of the farm are touched by tragedy during the course of the novel.) Thankfully these devastating traumas are tempered by illustrations of the more positive sides of humanity, the generosity and compassion shown by Françoise and her family who selflessly put their lives at risk to help the airmen in peril. The loyal relationship between Franklin and his trusty right-hand man, the gung-ho O’Connor, is also very nicely portrayed. Finally, a few words about Bates’ prose which is simply beautiful – almost lyrical at times. I’ll finish with a quote from the beginning of the novel, a passage that sets the tone from the start: a sense of grace and serenity amidst the violence of war. This was a re-read for me, as prep for my January book group. I’m looking forward to hearing what the others thought of it when we meet tomorrow night. Kim and Annabel have also written about this novel – just click on the links to read their reviews. Fair Stood the Wind for France is published by Penguin; personal copy. This entry was posted in Bates H. E., Book Reviews and tagged Book Review, Fiction, France, H. E. Bates, Penguin Books, UK, WW2 on January 15, 2019 by JacquiWine. Happy New Year, everyone! I hope you’re having a good break. In essence, new members of the Classics Club are invited to put together a list of at least 50 classics they intend to read and write about at some point in the future. The structure allows for some flexibility – each member can set their own end date provided it’s within five years. Also, the definition of what constitutes a “classic” is fairly relaxed – as long as the member feels the book meets the guidelines for their list, he or she is free to include it. All the books need to be old, i.e. first published at least twenty-years ago – apart from that, the definition is pretty flexible. At the time of joining, I put together my selection of 50 books (playing rather fast and loose with the definition of a “classic”) with the aim of reading and writing about them by December 2018. Since then, I’ve been working my way through that list on a relatively steady basis, running the books alongside my other reading. So, now we’ve reached the year-end, how have I been getting on? Well, I’ve read and written about 46 of the 50 books on my list – pretty good going, really, considering I took a break from blogging for the first three or four months of last year. This was always going to be a three-year project for me, so I’ve decided to draw a line under it now as December 2018 feels like the natural end-point. While I could carry on, I don’t actually have physical copies of three of the four remaining books on my original list – and given that my current focus is to read the books in my existing TBR, I probably won’t get around to buying them any time soon. The three books in question are James M. Cain’s Mildred Pierce, Nella Larson’s Passing and Joseph Roth’s Hotel Savoy – all of which I may get at some point, just not in the foreseeable future. The final book is The Leopard, which I own and tried to read a little while ago but couldn’t get into at the time. One for another day, perhaps, but not in the immediate future. You can see my original list below, together with suitable replacements for the four books I didn’t read. In each case, I’ve substituted something relatively close to my original choice (also read in the last three years), e.g. Vicki Baum’s Grand Hotel for Joseph Roth’s Hotel Savoy; James Baldwin’s If Beale Street Could Talk for Nella Larson’s Passing; and Giorgio Bassani’s The Garden of the Finzi-Continis for Lampedusa’s The Leopard. Okay, I know I’m cheating a little by doing this, but hopefully you’ll cut me some slack here. Virtually every book I read these days could be considered a “classic” of some description, so a little swapping here and there doesn’t seem unreasonable. As for what I’ve learned or gained by participating in the Club…well, I’ve met some new bookish friends who share an interest in older books, always a good thing. 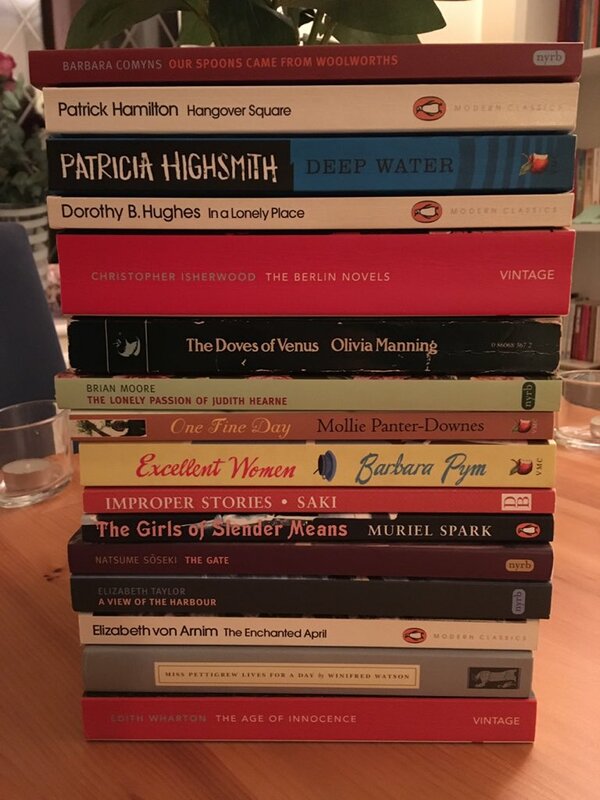 I’ve discovered some terrific *new* writers, some of whom have gone on to become firm favourites: Barbara Pym, Dorothy B. Hughes, Olivia Manning and Françoise Sagan to name but a few. 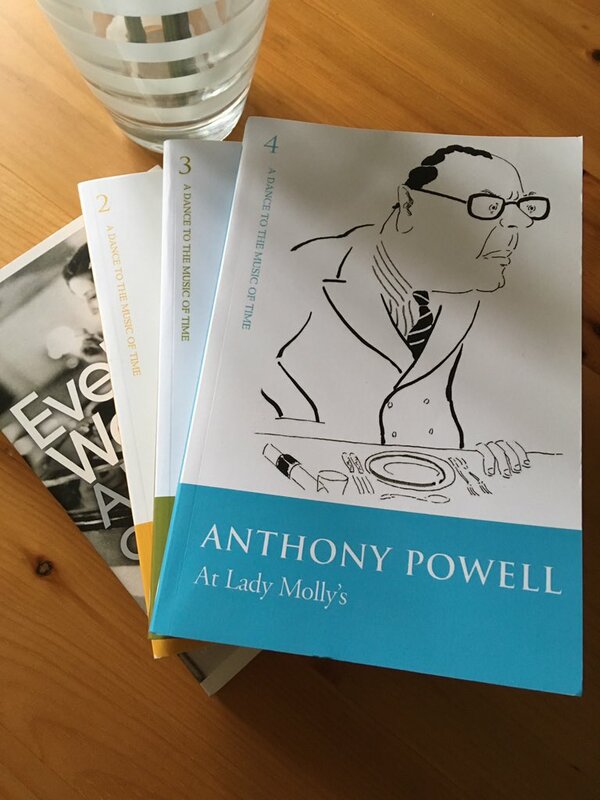 Plus, it’s given me an excuse to delve into the backlist of some established favourites: writers like Elizabeth Taylor, Richard Yates, Patrick Hamilton, Edith Wharton and Patricia Highsmith, all chosen for this very reason. On the downside, my experience of the books in translation has been somewhat mixed leading to some winners and a few losers. Looking back at my list, I don’t think I made the best choices in this area as my tastes have shifted somewhat in recent years — towards books by British, Irish and American writers, mostly from the mid-20th century. Books in translation I really enjoyed or appreciated include Béla Zombory-Moldován’s remarkable WW1 memoir, The Burning of the World Miklós Bánffy’s epic Transylvanian Trilogy which began with They Were Counted, Natsume Soseki’s novel of urban angst, The Gate, and Françoise Sagan’s effortlessly cool A Certain Smile – all of these come highly recommended. Less successful for me were The Invention of Morel (Bioy Casares), Spring Night (Tarjei Vesaas) and The Adventures of Sindbad (Gulya Krúdy). While the Krúdy worked well in small doses, the book as a whole just felt too samey and repetitive. A pity, really, as the writing was wonderfully evocative at times. So, that’s pretty much it, a very rewarding experience all told. 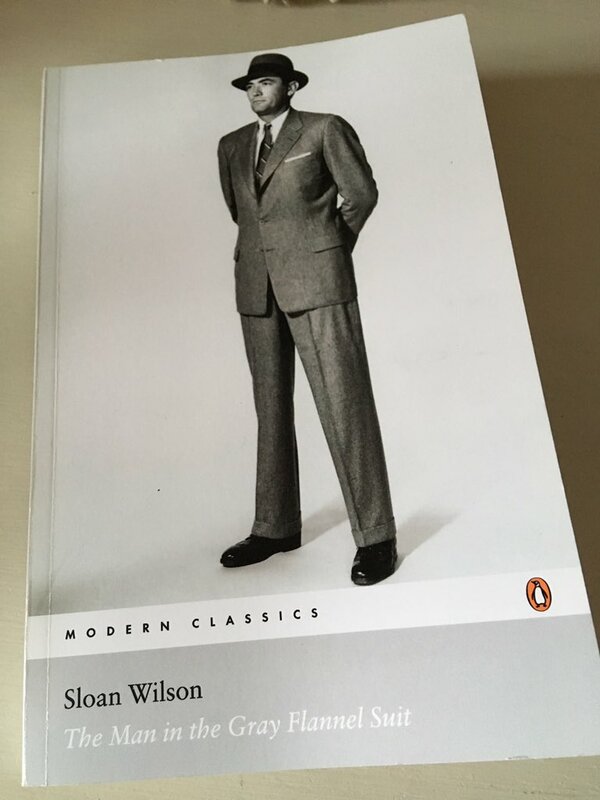 I’ve read some terrific books over the last three years, and I think it’s given me a better feel for the types of “classic” writers and books that are most likely to work for me in the future. This entry was posted in Book Reviews, Classics Club and tagged #ReadWomen, #TranslationThurs, Classics Club, Daunt Books, Farrar, Fiction, Non-fiction, NYRB Classics, Penguin Books, Persephone Books, Peter Owen, Pushkin Press, Vintage Books, Virago on January 1, 2019 by JacquiWine.